Q: How do I learn from failure in my business and not let it get the best of me? A: I have a huge news flash for you : There is not such thing as REAL failure! You have to understand that every so-called “failure” is only a seed for success. Every downfall you encounter shouldn’t be viewed as a failure, but as a stepping stone to the success that is to come. 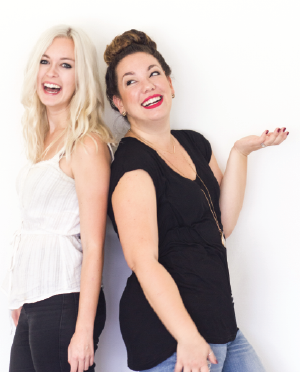 On a little personal note, I previously had an online business before joining Kelsey at The Brand Gals. It took me 2 loooooong years to call it quits and come to the realization that I wasn’t making any money and wasn’t going to anytime in the near future. My friends and family kept worrying about me that I had FAILED and how was I going to handle my FAILURE? As much as I love them and know their intentions were good, I couldn’t help but ignore their concern because I only saw this experience as a HUGE learning lesson, not a failure. Without my experience of my previous company I couldn’t appreciate the contrast in a company where I was making money, learning to value my worth, and absolutely loving what I do. Use your downfalls as stepping stones. You can’t wake up one day and be a genius at everything. It usually takes some challenging times to become successful in business. Be kind and love yourself through the ups and downs. If you fall down get up quickly and be thankful it is now a part of your beautiful and unique story.